Operating a mouse or trackpad is super easy, but behind their simple exteriors these intuitive input devices hide a whole host of shortcuts and extra features that aren’t immediately obvious—and if you don’t already know about them, you’re missing out. Here are our favorites. 1) Go forwards and backwards: When browsing the web you can swipe left with two fingers to go back to the previous page, and right with two fingers to go forward. 2) Select blocks of text: Forget clicking and dragging—select text more precisely with a tap (or click) at the start of the block, then a Shift+Tap (or click) at the end. 3) Open links in new tabs: Pretty well known, but still—use Ctrl+Click (Windows, Chrome OS), Cmd+Click (macOS), or a scroll wheel click to open browser links in new tabs. 4) Scroll around pages: In most web browsers and many other apps, click the scroll wheel to drop an ‘anchor’, then just move the mouse to scroll around in any direction. 5) Scroll left and right: Some (not all) models of mouse let you nudge the wheel to the left or right to scroll in that direction. Alternatively, hold Shift, then scroll up or down. 6) Launch new windows: If you click on the scroll wheel while hovering over an icon on the taskbar—whether File Explorer or Chrome—you launch another window for that app. 7) The secret Start menu: Right-click rather than left-click on the Start menu button for instant access to Device Manager, the command prompt, Task Manager and more. 8) See all open windows: Swipe up with three fingers to see all the applications you’ve got open in one convenient screen. 9) Show the desktop: You can go in the opposite direction as well—swipe down with three fingers to minimize all open windows and see the desktop. 10) Switch between windows: Three fingers come in handy again when switching between open windows, just swipe left or right to jump. 11) Access Cortana: Bring up Microsoft’s chatty digital assistant with one trackpad gesture by tapping three fingers on the trackpad. 12) Access the Action Center: Get to the hub of your operating system instantly by using four fingers to tap on the trackpad. 13) Switch between virtual desktops: If you’re a heavy virtual desktop user, you can switch between them by swiping left or right with four fingers on the trackpad. 14) Zoom in and out: Hold down the Ctrl key while scrolling up and down with the mouse wheel to zoom in and out of webpages, documents, and so on. Note: if any of these aren’t working, head to Trackpad in System Preferences (from the Apple menu) to make sure they’re enabled. 15) Open the Notification Center: Use a two-finger swipe from the right to open the Notification Center. Just remember start from the very right-hand side of the trackpad. 16) Open the Launchpad: Some hand dexterity required here—pinch in with three fingers and a thumb on the trackpad to see the Launchpad. 17) See the desktop: Everything has an opposite... swipe out with three fingers and a thumb to minimize all your open windows. 18) Zoom, smartly: More well known but not by everyone—a double-tap with two fingers on the trackpad intelligently zooms in (or out) of webpages and documents. 19) Switch between desktop spaces: If you’re making use of multiple desktop spaces, switch between them with a left or right swipe with four fingers. 20) See more options: It’s called the Option key for a reason—hold it down while clicking anything, from the Wi-Fi indicator to the File menu in Finder, to see more options. 21) See address previews: If you have a Force Touch trackpad, apply a heavier (Force) click on any address to see a preview of it in Maps. 22) Speed up the action: Apply a Force click to the fast-forward or rewind buttons in QuickTime or iMovie to increase the speed. 23) Quickly add events: Just one more of the many Force click ones—apply a stronger click to dates and events to add them to your calendar. 24) Open a link in a new tab: Tap on the touchpad with three fingers while hovering over a link to open it in a new tab. Ctrl+Tap does the same job. 25) Scroll through your tabs: Swipe left or right with three fingers on the trackpad to scroll through your open tabs. 26) Close a tab: The three-finger shortcut strikes again—tap with three fingers on the trackpad while hovering over an open tab at the top of Chrome OS to close it. 27) See all open windows: Swipe down with three fingers to see all your open Chrome OS windows; if you’re using Australian (reversed) scrolling, swipe up instead. 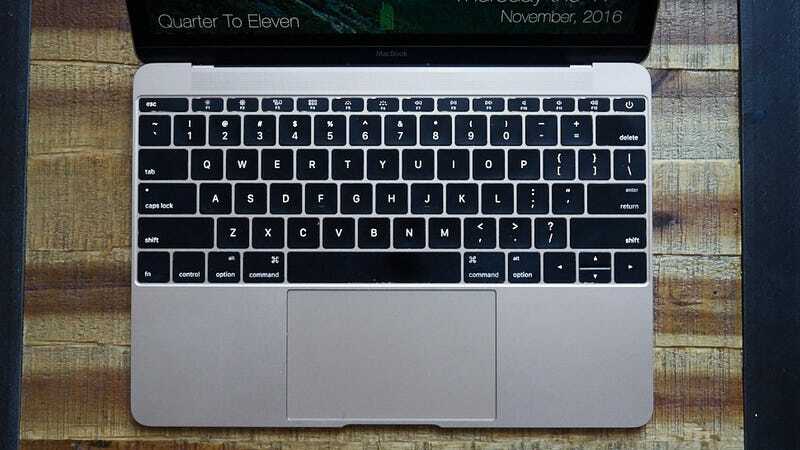 28) Zoom in and out: Pinch-to-zoom was recently added to Chrome OS trackpads, but only on some models, including the Pixelbook and the Samsung Chromebook Pro.